• WISE WMS Utilizes the latest Integration Methodologies: The WISE Universal Integration Adapter (UIA) for Data Transformation lets us create just about any integration solution imaginable. WISE WMS – Warehouse Management System suite of tools is the core of our Supply Chain Solution. WISE WMS has user defined location rules, package types, picking rules, shipment procedures, packaging techniques, and all other significant details regarding your operations. WISE then optimizes these tasks for you based on detailed algorithmic rule engines. These extensive WISE Functions are available to improve the distribution center’s operations by minimizing costs and increasing productivity. The WISE inbound module consists of a detailed set-up for all inventory types that could be received into a warehouse. Purchase orders, warehouse transfers, work orders, advanced shipment notices (ASN’s), returned materials and unexpected receipts. 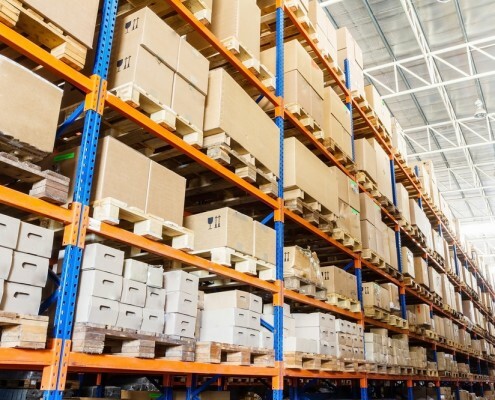 Inventory and Asset Management is managed in WISE from the moment it is received at the dock door, including every step of the warehouse process until it is directed out the shipping door. Inventory and Assets are controlled at the item level by SKU number, quantity and location. WISE’s easy-to-use functionality gives the manager the capabilities of releasing single orders or groups of orders based on order number, facility or customer ID, destination, dates, FIFO/LIFO/FEFO, carriers, priorities, and any combination thereof. The warehouse is the critical hub of the business, the central depot through which everything must pass – from raw materials waiting to be manufactured into finished goods to product waiting for shipment downstream to a distribution center, retailer or end-customer. WISE functionality can be applied throughout all core warehouse processes, transforming the warehouse into a competitive advantage. Total visibility of all inbound orders. Complete support of ASN’s. Simple single scan of a bar code, pallet ID, or pallet license plate. Single receiver can work on multiple incoming orders simultaneously. Multiple receiving personnel can work on a single order. Personnel can receive unexpected shipments. WISE captures all information possible at the moment of the goods reception. At receipt, WISE can determine the parameters in which to sample a shipment to assure significant quality control. These parameters consist of percentages of items by product ID, group code, vendor and/or any combination thereof. The system will then generate the tasks to move those materials that require quality assurance procedures. The rejected lots will be flagged in the system to avoid carrying out putaway and allocation tasks. When items or shipments are returned to the warehouse, WISE enables unique data regarding these shipments to be recognized and captured. The RF’s direct the receiver to input the items’ current condition and reason it was returned, and the fault of the return. Based on the values inputted for these three variables, WISE will direct the warehouse personnel to take a specific user defined action. ie: put items back in general stock, put items in staging for future delivery, take to re-work to repair, send back to manufacturer, or simply scrap. Extensive putaway functionality enables the warehouse to utilize many different styles and methods of putaway techniques. Using the RF’s as the backbone of the putaway tasks, WISE directs the users to the proper location and correct equipment with the most efficient route and manner. All RF putaway transactions are confirmed with a location bar-code scan to ensure real- time inventory accuracy. Based on a user defined configuration, WISE will generate the putaway tasks to most efficiently direct warehouse personnel to put items away based on the item itself, the product group, the locations, and/or any combination of the three. The ability to cross-dock is a valuable tool to increase warehouse efficiencies and speed order processing. When an item is received into available inventory and the same item is required for an outbound order waiting processing, WISE triggers the immediate tasks necessary to take the goods from the receiving dock to the packing station or shipping door to complete the shipment. This eliminates all putaway and picking tasks that would be necessary to store the item and then pull again. Inventory is tracked from the moment it is received at the dock door including every step of the warehousing process until it is directed out the shipping door. This inventory is controlled at the item level by SKU number, quantity, and location. All tasks are system generated dynamically directing warehouse personnel via the radio frequency backbone. This enables warehouse management to run the distribution center using real-time inventory status and quantities. WISE supports pick and pack operations that require replenishment activities. It maintains inventory levels in forward pick locations and controls the movement of items from reserve or bulk storage locations to the higher volume forward pick locations. Warehouse employees are directed to complete replenishments based on location or item minimums and maximums. Dynamic space management is another key feature of WISE. 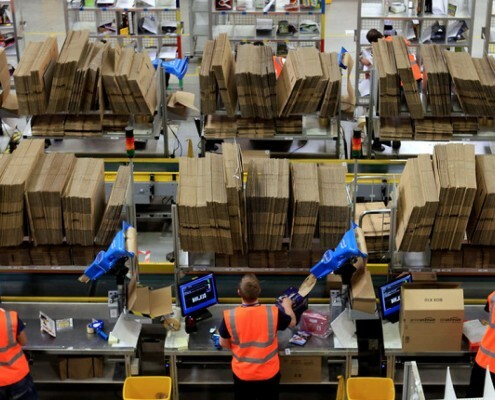 Once the layout of the distribution center has been set up and the attributes of products and locations are defined, the system will manage the space according to the availability, volume, weight, and attributes required for the product. The system can report the location or locations of a particular product as well as its current status whether on-hand, allocated, available, or potential. WISE utilizes the item’s and location’s “cubes” which is a term used to calculate volume and denote the capacity of a vessel or location. Upon implementation and before commissioning of the system, a warehouse-wide physical inventory is taken to enter every item of the system per its precise location. A scan of the location, followed by scans of the items ensures the item-location match. After implementation, WISE’s Dynamic Intelligent Cycle Counting Functionality will handle all future counts. The WISE cycle counts do not require an inventory freeze. The counts are automatically triggered in the background per user-defined requirements. Cycle counts can be conducted per location, zone, product group, or item ID. System generated Alerts are now part of the ERP and WISE applications, it allows the system to alert key individuals whenever a specified event occurs such as inventory dropping below minimums, missed shipments, receipts of product, or any other event that makes business sense. WISE’s Order Management functionality is a flexible tool used to group and release orders for shipment. Release single orders or groups of orders based on order number, customer ID, destination, dates, FIFO/LIFO carriers, priorities, and any combination thereof. 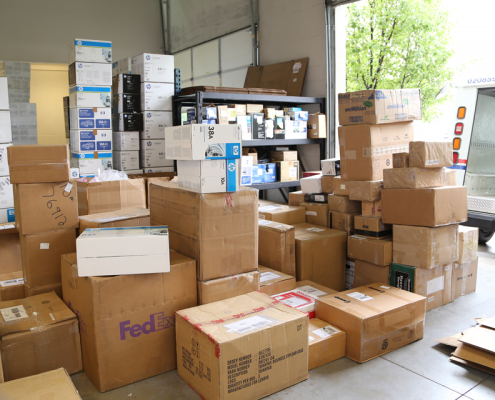 At any point in the warehouse order process an order can be immediately cancelled and WISE will generate the tasks to re-stock the items in the picking or shipping process. WISE enables the warehouse management to flexibly release orders to the warehouse floor to be picked and processed. A paperless warehouse is the goal of any WMS, but if printed picklists are required, WISE can deliver a simple hybrid of the two. *If a paper-based system is required, please see the WISE-Paper section of the product information brochure. WISE supports many different packing methods. The most common is to pick from general storage, then take the goods to the predetermined packing stations where the “packer” takes over the next step of the order’s process. If the user has defined that they are picking an individual order or orders, WISE can then pick from general storage locations and put the items directly into the packing container ready for shipment. This is also termed “palletization” if the packing container is a pallet and the entire pallet is used to ship. The shipments’ delivery order sequence can be automatically picked and staged for loading based upon delivery route. The pickers will be directed to “pick-to-nose” in order to ensure that the last delivery is loaded first. At shipping, the necessary outbound documentation is produced including but not limited to invoice, packing lists, shippers export doc/ AES transmission, shippers letter of instruction, bank document, domestic bills of lading, dock receipt, hazardous goods documents, and domestic carrier labels. Data within the supply chain changes extremely rapidly. With sophisticated systems in place for supply chain execution, timeliness of data is even more critical for companies to stay competitive today. Consumers and businesses now expect timely and accurate notification of events as soon as they occur, not the next day. Additionally, machine-to-machine commerce is removing much of the decision making from individuals and placing it on their software systems, again the need for accurate and timely data is crucial in today’s business environment. R4 uses Crystal Reports throughout its ERP and WISE applications for report presentation Crystal is a versatile tool that has the capability of previewing reports before printing, saving reports in various formats (HTML, PDF, Excel, etc. ), emailing or faxing reports from the desktop if email or fax servers are accessible. The e-WISE system is a web based front end that supports BtoB, CtoB, Shopping Cart, and Web Order Entry. Accessible through the web, this module allows authorized customers and salespersons to place orders for product, track the status of these orders, and obtain reports.